Mr. Vikas Kumar is a Founder and MD at Network Bulls and an Iconic Trainer. Having 15 years of industry experience and triple CCIE to his credit, he holds strong technical expertise in R&S, Security, and Voice technologies. He has worked with some of the renowned IT brands like Religare, CSS Corp, IDS, etc. and carries extensive technical exposure of planning, building, maintaining and troubleshooting real-time enterprise networks efficiently. He founded Network Bulls in 2009 and has been himself curating all the training programs as per industry demands. His role does not end at just structuring training programs, he also makes sure that all technological advancements are added time to time. Vikas also have extensive experience of conducting 100+ corporate training workshops successfully, undeniably one of the top CCIE trainers in the world. Having a degree of B.E. Computer Science, Mohit had joined Network Bulls in 2012. 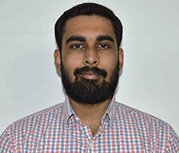 He is currently working as a trainer for Cisco Routing & Switching, Data Center Technologies, Juniper SRX ,Palo Alto ,Checkpoint and Cisco ASA Firewall, F5 Load Balancer, Riverbed WAN Optimization, Cloud Computing, Cloud Security, Real Time Network Designing &Troubleshooting, Network Monitoring Tools and Ticketing Tools. His major achievements include Dual CCIE #42145(R&S, Security), CCSI #34989 Certifications and taking Network Bulls industrial training batches. He also handles the additional role of a lab instructor and Network Engineer at NB. He believes in transforming lives of many ordinary students into extraordinary and that’s why he chose to start his training career immediately after the completion of CCIE & CCSI with us. Since 2012 he has been a mentor of many CCIE success stories and continues to live his passion. 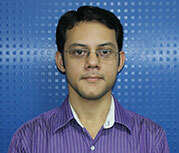 Mohit is also serving Network Bulls Technologies as a Solution Architect. He has helped 100+ MNCs with their Data Center Solutions & Network Designs, Data Center Centralization and up-gradation of Network as well as the Data Centers using Cisco Nexus 5K, 7K, 9K, UCS etc. Solutions offered by Cisco. At NBT, he is heading a team of 20+ engineers and taking care of Network Security and Data Center Solutions for the clients of NBT. Being a Cisco Premium Partner, we have managed to become Cisco Data Center Architecture Specialization Partner with the help of Mr. Mohit and his team. An Engineer by qualification, Piyush Kataria is one of the most accomplished trainers of our incredible training team at NB. Mr. Piyush is the master trainer for R&S + Security at NB and he has trained students since 2012. He is a Dual CCIE Certified Professional, CCIE R&S V5 and CCIE Security V5 certified # 50204. In addition, he is an out and out expert in Service Provider Technologies which include Advanced BGP and MPLS. He also has an in-depth knowledge of data center technologies and different security vendor firewalls namely, Checkpoint firewall, Palo Alto firewall, SRX Juniper firewall. Piyush has trained thousands of students and helped candidates obtain CCIE certifications. An experienced mentor, he knows the requirements of students and guides them the best. When he is not busy training students at NB, he spends hours & hours in drafting practical workbooks for making the CCIE journey easy for the candidates. He himself spends hours practicing in the labs to polish his skills and he also guides students in the labs time to time. 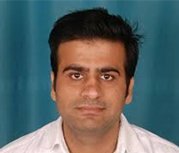 Mr. Praveen Kataria is a Master Trainer at Network Bulls and a key member of Network Bulls Training Team. A vastly experienced trainer of CCNA Security, CCNP Security, and CCIE Security Certifications, he is known for his strong hold on practical sessions and making students adept with security track. He has cultivated strengths of practical clarity amongst students, making their basic to expert level knowledge strong and concise. 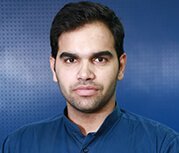 Rajat is a young and dedicated trainer of Network Bull’s technical training team. Rajat is a great mentor and passionate training professional. He guides student on Cisco CCNA + CCNP modules and builds a strong foundation of networking which serves a long way in gaining expertise. Rajat has worked with top IT companies as Network Administrator for more than 5 years. Thus, have a deep understanding of networking devices. 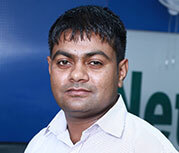 Rajat is a highly qualified trainer and a key part of Network Bulls training team. Rajat is CCNA R&S + CCNP R&S certified #CSCO12054504. He has a strong hold on the networking concepts of Routing and Switching such as IPv6, VLAN, LANs, STP, Ether Channel, Multi-area OSPF, Netflow, WAN, SNMP, Syslog, MPLS and BGP protocols. Rajat has in-depth knowledge of complex routing networks. Rajat loves to spend his spare time interacting with students, guiding them, and helping them to grow in their career. In addition, he also loves sketching and listening music. Rajat is always ready to walk a mile away for the better understanding of students. Mr. Shivam is one of the youngest and dedicated members of Network Bulls' training team. He has 4+ years of experience in the networking field and has been associated with NB since 2015, Mr. Shivam trains CCNA R&S, CCNA Security, and CCNP Security students. Mr. Shivam has done B.Tech in computer science before starting his corporate journey. He has expertise in routing, switching, Cisco firewall (ASA), VPNs and ISE topics. In very short span he became a demanded trainer among CCNA and CCNP students. He is a CCIE Certified Professional, CCIE Security V5, #61123. Shivam likes to upgrade his knowledge and skills from time to time. That is why in his free time he reads technical journals, Cisco technical documents and polishes his knowledge by implementing the same at labs. Truly an inspirational trainer for students. Rajender comes with a vast experience of more than 7 years and has been training students of Network Bulls for CCIE R&S Track. 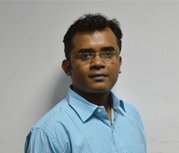 With a good reputation among students, Rajender himself has done CCIE R&S, he also holds MCITP Certification to his credits. He has expertise in routing & switching concepts such as BGP, MPLS, IPv6 etc. and sound knowledge of Microsoft Servers. Rajender has worked with companies such as Jetking, IIHT and Techmind in the past as a trainer. He has taken 500+ corporate training workshops also in last 6 years with big IT organizations. 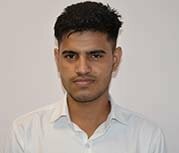 Rajender likes playing cricket and continuously polishing his skills by reading more & more books related to networking industry. Ali joined Network Bulls team and has become student’s favorite already in a very short span of time. 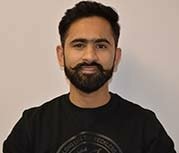 Prior to joining Network Bulls Ali has worked in IT industry with companies such as Trimax IT Infrastructure & Services as Network Engineer in its MPLS department, NBT, and NNSC as a networking consultant. Ali comes with in-depth knowledge and practical experience of Cisco Routing & Switching Technology. He is CCIE R&S trained and holds an excellent hand in advanced technologies such as IPv4 & IPv6 protocols, OSI protocols, TCP/IP models, l2 switching, Cloud Computing, VPN, DMVPN, QOS, Multicasting, Network Security etc. An engineer in Electronic Communications branch, Ali trains students of CCNA R&S and CCNP R&S at Network Bulls. A trainer who is known to extend his theoretical sessions with rigorous practice is one of the favorites of students. Ali himself is a CCIE R&S Certified Trainer. His CCIE No. is 60981. In his free time, Ali loves reading novels and playing Chess with friends. Navneet is designated as a Master Network Trainer and is an important pillar of Network Bulls technical team. Navneet has a rich industrial experience of more than 6 years in the Networking Industry. He has worked with companies like Jetking Infotrain and Royal Infotech and gained vast exposure to core IT industry. Navneet has completed Diploma in computing systems from Rotorua, New Zealand. 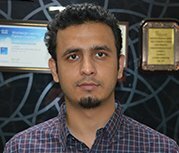 He has accomplished his first target of achieving CCIE R&S certification and is looking forward to hitting another milestone in his career i.e CCIE Security certification. He is an expert in CCIE Routing and Switching technologies like Nexus, Load Balancer, advance BGP and MPLS with a solid grasp over SDN technologies, Cloud Computing and VPN. 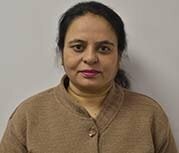 In addition, Navneet has in-depth knowledge of IPv6, address families configuration and is also trained in CCNA Data Center and Voice. Navneet is a passionate trainer and is always available to solve the queries of students. He loves to spend his free time reading books, biking and gaining knowledge about the latest technological advancements. In addition, he loves playing games and enjoys performing adventurous tasks like Deepsea diving, & Rafting. An experienced mentor, a trainer with more than 5 years of experience, Priyavarat is an another key member of NB Trainers team. As a consultant, Priyavarat helped 100+ companies small or big in setting up their IT Network Infrastructure. He is a veteran who knows each and every little detail about network infrastructure and because of his deep understanding students taking his classes always admire him for making them network troubleshooting experts. Apart from training Priyavarat plays a key role in drafting practical workbooks and designing real life case studies for students. By hobbies, Priyavarat loves playing cricket, listening music and spending time with students at our labs. Pulkit is designated as CCIE (Lab) Security V5 Lab Trainer and has Worked on Cisco Routers,Switches, ASA Firewalls and Troubleshooting, Wireless lan controller and is now an important pillar of Network Bulls Technical Training Team. He is a graduate in B.tech(ECE) and holds CCIE Security V5 certification to his credit. 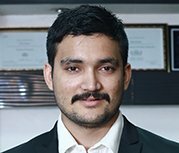 Pulkit has other Achievements like he Cleared Air Force SSB (AFCAT) from Varanasi and CCIE Security V5 LAB exam from Bengaluru. 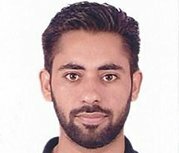 Pulkit is a passionate trainer, loves to spend his spare time in attaining more knowledge related to Networking in the lab and always ready to help out the students who are preparing for the security lab exam He takes his social responsibilities on a serious note and is very much involved in social activities. Ankur is a young and dedicated trainer of netwok bulls's technical training team, Ankur is a great mentor and passionate training proffessional. He guides students of Cisco CCIE lab and buildings a strong practical approach of networking which serves a long way in gaining expertise . Ankur is a highly qualified trainer and a key part of Network Bulls training team. 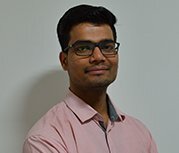 Ankur is having CCIE R&S #60980 and also having CCNA Certification as well .He has a strong hold on the networking concepts of Routing and Switching such as IPV6,VLAN,LANs, STP,EtherChannel,Multi-area OSPF, Netflow, QOS, Multicasting , WAN, SNMP,Syslog, MPLS and BGP protocols. 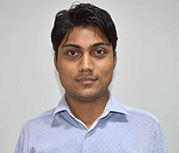 Ankur has in-depth knowledge of complex routing networks. Ankur loves to spend his spare time interacting with students, guiding them and helping them to grow in their career. In addition he also loves sketching and listening music. Ankur is always ready to walk a mile away for the better understanding of students. Rajan is a Network Trainer and an inspiring mentor at Network Bulls. In very short span, Rajan has become an integral part of our incredible technical training team. He is a B-Tech graduate and a CISCO CCNA R&S certified(#CISCO13171999) professional holding a deep knowledge of CCIE R&S (Written) trained professional. Rajan has an in-depth knowledge of CCNA course curriculum and holds an expertise in OSI, TCP/IP models, RIP, EIGRP, OSPF, BGP, MRLs as well as in advanced switching concepts. Rajan has achieved the first milestone of his career i.e. CCNA certification and aiming to achieve the biggest milestone i.e. CCIE certification in the near future. Rajan is not only an inspiring mentor but he also supports healthy lifestyle. He practices yoga, as well as meditation in his daily life and inspires students to practice the same as it helps them to stay calm, active, focus and determined. Baljot is designated as a senior trainer at Network Bulls and he is an eminent pillar of our technical training team. Baljot is a B.tech graduate and has worked with top IT Company IBM. He is a young trainer and a great mentor. At NB, he plays a vital role in building the foundation of students as he trains students on CCNA + CCNP R&S modules. Baljot has an in-depth knowledge of Cisco R&S and Security domain as he himself is CCIE trained professional. He is having an excel hand in R&S concepts which include IPv6, LANs, VLAN, Ether Channel, STP, Multi-area OSPF, SNMP, Netflow, WAN, Syslog, MPLS & BGP protocols.In addition, he also has an in-depth knowledge of Security domain. Baljot is a passionate trainer and has helped hundreds of students to build a strong foundation. He spends his free time in the labs training students and listening to music. Anmol is a dynamic and dedicated Trainer @ Network Bulls. He has completed his Science Graduation in PCM. 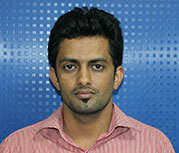 Anmol has more than 4 years of experience in the IT industry before joining Network Bulls. As a trainer, he takes CCNA Classes and MCSE technical sessions. He holds an expertise in OSI, TCP/IP models, RIP, EIGRP, OSPF, BGP, MRLs as well as in advanced switching concepts. Anmol also has sound knowledge of designing, implementing and administering infrastructures based on Microsoft Windows servers. Anmol's expertise on Microsoft technologies and concepts includes- Windows Servers, Exchange Servers, Office 365, MCSA, MCSE, VM Ware and Active Directory. He had also delivered 100+ training programs to Indian and International clients with excellent feedback. The clients include- HCL Technologies, Wipro, IBM, Infosys, British Council, HP, DMRC, Accenture, and many others. Anmol is always available to solve queries of students. Apart from his training, he is Tech savvy and loves to travel new destinations. Mr. Kundan Kumar became a key member of Network Bulls’ training team in a very short time. He is B.tech qualified Engineer with a dream to deliver the quality pedagogy to the Networking folks. His specializations are (CCNA + CCNP) R&S, (CCNA + CCNP) Security, and Red Hat Server(RHCSA+RHCE). He likes to update himself with the newest technologies. His inimitable strategy of training the students makes the student comfortable with him. He likes to take the feedback from the students on his tutoring so that he could teach the students in the manner they understand with ease. Having a BSc. 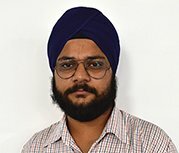 IT degree from LPU, Punjab Mr. Parvez came across Network Bulls after gathering 8+ years of experience as a trainer in different institutes like CETPA, PAU, and Sparx Computers. Mr. Parvez is a former Network Bulls student who holds CCNA R&S + CCNP R&S certification #CSC03180974 along with other prestigious certifications like Windows Server, Microsoft Exchange Server and MCP. Parvez has in-depth knowledge of Networking concepts and his area of expertise are OSI Model, IP addressing, EIGRP and OSPF of CCNA R&S. 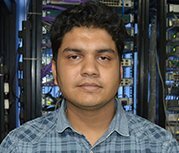 He has successfully delivered training sessions in Kanpur Institute of Technology and KNIT Sultanpur over CCNA and CCNP R&S. When not teaching, Parvez enjoys acting for a stage play, singing along with playing musical instruments and outlining his career in the most productive manner. Mr. Sukhbir Chahal is the youngest but the most passionate member of the Network Bulls family. He is a lab trainer at Network Bulls where he trains students to performs their practicals. He joined NB team soon after completing his CCIE Routing and Switching course training from Network Bulls itself. During his training, Mr. Piyush Kataria and Mr. Mohit Bhalla were his sources of motivation. Sukhbir loves watching movies and playing cricket the most and he is a very fond book reader from Hisar, Haryana. Mr. Siddharth is an iconic trainer at Network Bulls. 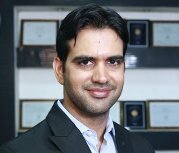 With an experience of 14 years, he is certified in TESOL and white belt in six sigma. Siddharth has completed his masters in English and linguistics. He also has certification in conversation and business English. Siddharth has conducted 100+ workshops in the corporate sector and educational institutions. Siddharth is spearheading entire communication and works very closely with placement team of NB. He has been instrumental in improving students' communication skills, presentation skills, voice and accents, behavioral skills, interview skills, resume writing skills, soft skills and leadership skills. Siddharth has successfully assisted thousands of students in grooming their personality. He imparts English speaking skills and helps students to crack interviews with aplomb. His kinesics class helps students to get good control over their body language during the interviews, which serves as an additional benefit. He is a passionate football and Bengali music lover. He is also very fond of Bengali food. Favorite of everyone at NB, Siddharth likes to spend his free time with his students, family, and colleagues. Shivani has joined Network Bulls as a Senior Trainer for Communication and Personality Development and in a very short span of time, she has become an integral part of our incredible training team. Shivani has completed her graduation in English and Psychology. She has 10+ years of experience as a trainer. She has worked in the corporate sector as well as in the education sector. Hence, knows the best ways of teaching students as well as corporate professionals. As a corporate trainer, she has worked in top companies Jetking, Concentrix etc. She has also worked upon Soft Skills content development. Shivani’s every session is followed by an interactive training activity in the class which helps students to bring the teachings into use immediately. In her free time, she likes reading books and plan interactive training activities for students. 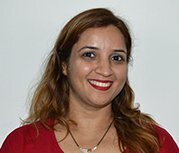 Ritu Dubey Singh is a communication trainer at Network Bulls enhancing presentation skills, Grammar, Pronunciation and Body language of students here. She has completed her masters in English Literature and is also an MBA in Human Resources. With the vast 12+ years of teaching experience in many private colleges, she has now thought of tasting corporate experience and we are glad that she chose Network Bulls for this. Ritu has attended various workshops organized by IELTS, ETS, SGSITS on English Language Learning which allowed her to bring up valuable teaching skills and strategy to her students. Apart from being a trainer, she is also a blogger and a freelance documenter. She loves astrology, reading, painting and planning for the next adventures with the husband and kids in her free time.